← Will the shift to self employment change our politics? [T]here are a small number of SMEs that are highly productive. If you want to ‘win the global race’, this is the place to look. What is needed there is not the current policy vogue for lots of advice and state-sponsored finance, it is making sure these firms have the power to be creative free of any blocks. One of the reasons the US is more productive than Europe is because of a dynamism which means sluggish uncreative whales are quickly replaced by hungry innovative piranhas who themselves get replaced once they run out of ideas. In short, it is about an economy where those who exercise their creativity to the max get justly rewarded. Achieving this means stripping away the regulations, tax arrangements, public sector procurement and monetary policies which keep unproductive bigger businesses alive at the inevitable expense of new smaller players. So one answer to our productivity problem is to encourage more new innovative firms to drive out the sluggish old ones. Maybe so, but if America is producing hungry innovative piranhas, it isn’t producing very many. By every measure of small-business employment, the United States has among the world’s smallest small-business sectors (as a proportion of total national employment). Not much has changed since then. 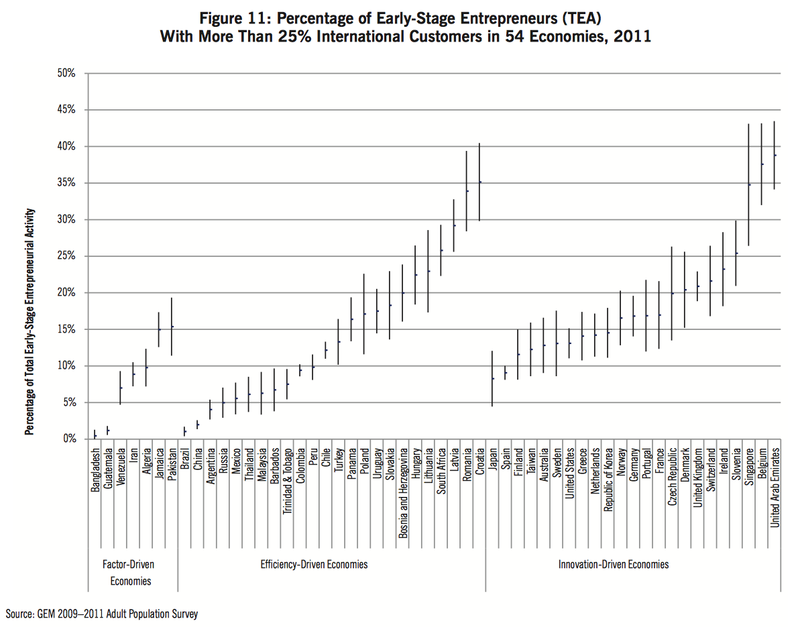 When compared to other advanced economies, the US doesn’t look that much more entrepreneurial than anywhere else. America has a relatively low number of self-employed people and their numbers have fallen in recent years. Compared to other developed countries, the US has relatively few people employed by small companies. 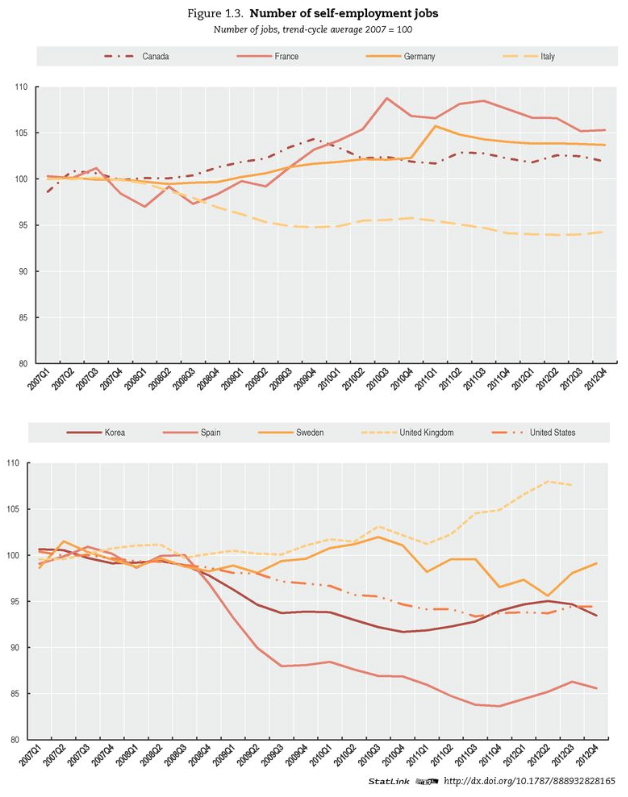 America’s business start-up rate is lower than that of many OECD countries and has also fallen in recent years. Even the number of high growth (more than 20 percent per year) and Gazelle companies (under 5 years old with more than 20 percent growth per year) doesn’t compare particularly well with other OECD countries. Could it be that American firms are just better than those in other countries? Even though, relative to the size of the economy, there are fewer of them, are small firms in the US simply more innovative than those anywhere else? 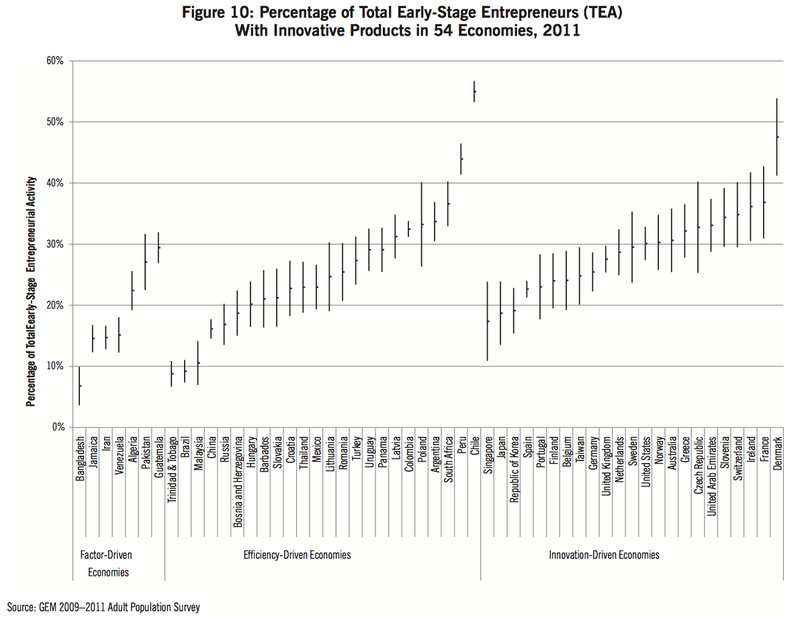 The percentage of American startups with innovative products is fair-to-middling. Are US startups making products the rest of the world wants to buy? Again, not really. The internationally trading startups are more likely to come from Europe. Whatever is behind the high productivity of the US economy, it doesn’t seem to be due to the quality or quantity of its small firms. There is almost no measure on which America’s small business sector stands out from those of other advanced countries. In the end, as Jordan Weissman said in the Atlantic, it may simply be down to America’s sheer size and its funds available for investment. Some of the most cutting-edge young companies in the world call Silicon Valley, New York, Boston, and Austin, Texas home, partly because we have the financial backers to support them. According to the OECD, the U.S. ranks second overall in venture capital invested as a percentage of GDP, which wedges us between Israel at No. 1 and Sweden at No. 3. In sheer dollars, we dwarf everyone. Even the hungry innovative piranhas need feeding before they can get to the size where they can start eating the sluggish uncreative whales. The creative destruction in the US may simply be a function of having a huge continental single-market economy which generates a lot of investment capital. Perhaps America’s innovative piranhas grow because there are enough people around to feed them when they are too small to feed themselves. When I was in Rio de Janeiro in the 1970s, I met a group of Americans on holiday. During conversation, it emerged that they were millionaires from Florida taking a break from running steak and lobster booths. What struck me was that they did not seem bright – just hardworking. It was then that I realised that the key to American economic success was the fact that they had a large market with few internal barriers and – mostly – one common business language. The key factor – it seemed to me – was not how hard it is to succeed but how less hard it is to fail, given such a mass market for almost any kinds of products and services. Today, China is developing into a similar kind of mass-economy market too. Attempts have been made to export products and business models over to the UK but they have never really ever enjoyed similar success to that experienced in the USA and I believe this is simply down to the differences in the size of the markets and the numbers of consumers. America can enjoy greater productivity due to efficiencies of scale. I believe it really is that simple. 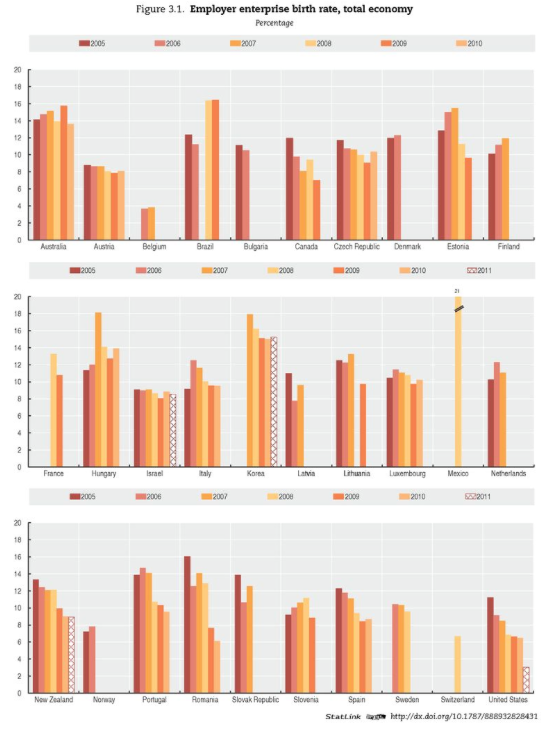 This may highlight the relative lack of success among member-countries of the EU, where there is no one common language and there remain internal barriers to trade in goods and services. In this situation, efficiencies in large-scale production are much harder to achieve than in the USA. If all Europe could become one area with just one language and no internal barriers, then what?